Our patients are asking us how we feel about about the latest craze in the path to whiter teeth, and it’s covered in a pitch-black paste. Bloggers and vloggers claim that brushing with activated charcoal is an all-natural way to remove surface stains caused by coffee, tea and wine without bleach or abrasives. To prove it, they’re flaunting soot-covered teeth straight out of a horror movie. The result? Fluorescent white teeth after as few as one use, proponents say. While you may have used charcoal in your skincare and juice routine (see the pros and cons of ingesting it here), should you replace your toothpaste with the powdery black substance? There are some things that practically scream, Don’t put me in your mouth. Charcoal is one of them. But ever since activated charcoal—coconut shells, wood, or peat processed to become super porous—made its way into beauty products, cleanses, and even ice cream, it seems everything is fair game. The general thought with activated charcoal is that because it can bind to toxic substances in the body, it is a detoxifier in and of itself. (Spoiler alert: It’s not.) With toothpaste, the claim is that activated charcoal binds to roughness on the enamel of the teeth, absorbing any stains or dirt—and whitening teeth as a result. Activated charcoal has been used for many things. It’s a purifying agent that absorbs impurities. While you’ll find activated charcoal in air filters, traditionally, hospitals and poison control centers use it to treat accidental poisoning or a drug overdose. Unlike the bricks you use for your backyard barbecue, activated charcoal’s enormous surface area is dotted with the numerous nooks and crannies that draw in and trap toxic substances in your gut like a sponge. The bad stuff is then carried out with your next bowel movement. However, there’s no evidence at all that charcoal does any good for your teeth. There could even be potential damage to your teeth and gums: like any abrasive, we’re worried about the effects on the gums and enamel on the teeth. 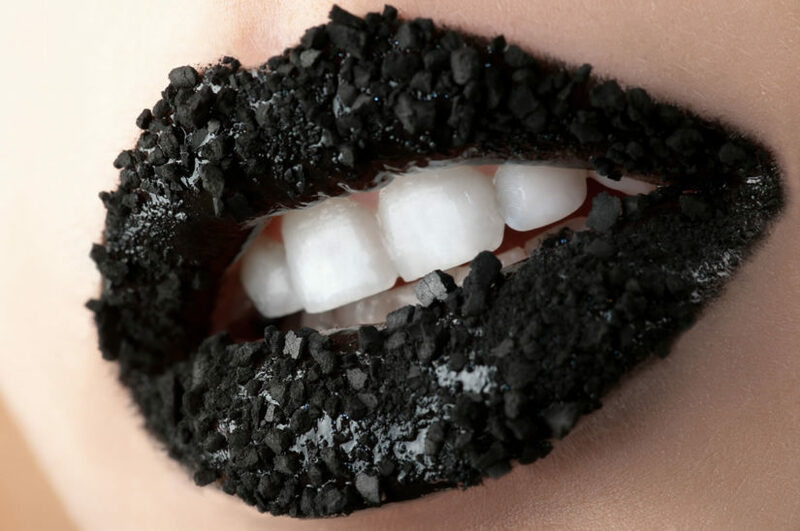 We just don’t yet know about the safety and effectiveness of charcoal toothpaste in order to endorse it. There are other (safer, more effective, and less messy) DIY ways to whiten: try brushing with a baking soda and hydrogen peroxide mixture once or twice a week. Combine about 2 tablespoons of hydrogen peroxide with 1 tablespoon of baking soda. The mildly abrasive nature of baking soda (emphasis on mild) can remove stains, naturally whitening the teeth, she notes. Just remember: this isn’t a replacement for your go-to paste—just an add-on to your routine if you’re looking for a natural whitener. The main thing to avoid in a regular whitening toothpaste is anything that’s highly abrasive, particularly if you have thin enamel or receding gums, as a rough paste could cause more damage than good. If it sounds too good to be true, it probably is. If you want a gleaming white smile, let’s discuss traditional whitening toothpaste for surface stains or over the counter treatments (like white strips) for deeper stains. If that doesn’t work, we can help you evaluate your options for whitening treatments in our office. If you do go the DIY charcoal-route, we suggest using it sparingly and discontinuing if your teeth become sensitive.